Some pictures taken on our visit to Kennedy Space Center the night of the planned STS-130 launch. I loved the giant Snoopy statue! 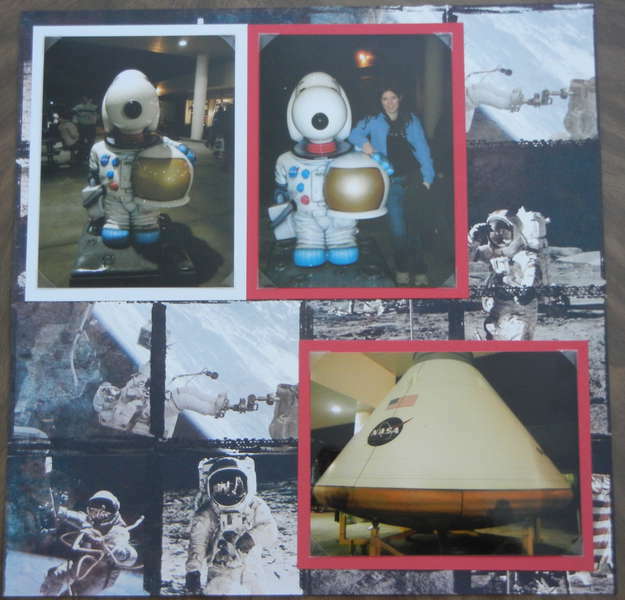 The background paper came from a scrapbook kit I bought at the Space Shop. oh how fun that must have been. Like the Snoopy too.